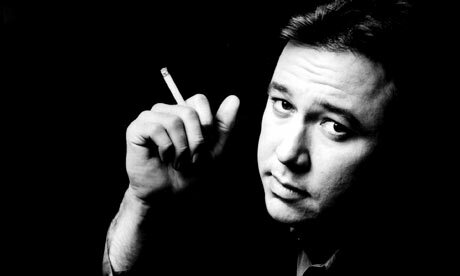 Bill Hicks’ Missing “Letterman” Appearance. | The Cineaste's Lament. ← New “Ghost Rider: Spirit of Vengeance” Trailer Posted. Bill Hicks’ Missing “Letterman” Appearance. Not strictly movie-related, I know. But this comes as a belated Happy Birthday to the late comedian, who would have turned 50 years old this year. Over on Slate, David Hoaglund makes a persuasive argument for why Hicks still matters. Anyone else remember the days when stand-up comedy was actually dangerous? This entry was posted in comedy, Film News, Our Films, Ourselves, Thinking About Movies and tagged Bill Hicks, Bill Hicks New Yorker profile, Bill Hicks' missing Letterman appearance, David Letterman, stand-up comedy. Bookmark the permalink.